i'm pretty obsessed with nail polish. i barely ever have naked nails. i also really love blogger package swaps. i've always been really lucky with partners and made some of my best bloggy friends through swaps. 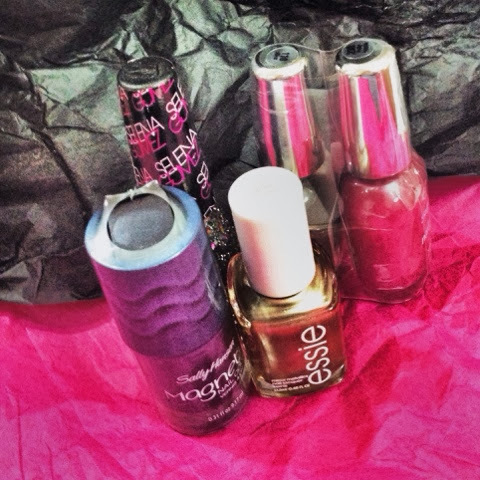 when i saw this swap for nail polish i was super excited. the rules were pretty simple...buy at least 2 polishes worth a certain dollar amount and send. i once again got super lucky with my partner. i was paired with maria from agapelovedesigns. she totally hooked me up. i was at dinner with some friends talking about how i need a decent gold polish. i came home to my polish package and about died. i am so obsessed with this gold. thanks maria for all the fun polish. if this sounds like fun, stay tuned for a blue polish swap in april for autism awareness month. 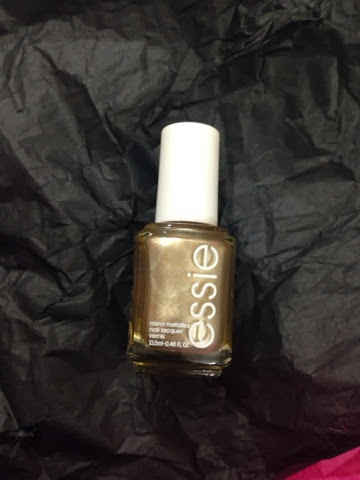 I have been wanting a gold polish, that looks like a good color and I love Essie! One of my friend's just tried the magnet polish on her daughter and said it was a little weird, but they had fun with it. Looks like you had an awesome partner!! I think I got that same magnetic polish for Christmas. I loved the color, need to practice my "magnet" skills some more. Oooh and gold polish, love! that seems like such a cute idea! Visiting from the swap linkup :-) These colors look so fun! I love the Sally Hansen magnetic, especially in that color. I'd love to hear how you like it! Love Essie!!! You got some great shades! I own that gold too! I didn't get it through the swap, I bought it at Target a couple months ago! Wearing it right now- SO GOOD!